A refresher course on hyperbaric medicine saw dive shop staff learning principles of accident management training relating to diving injuries. As the diving season continues, the need for dive guides to respond quickly in the event of an emergency is crucial to saving a customer’s life. 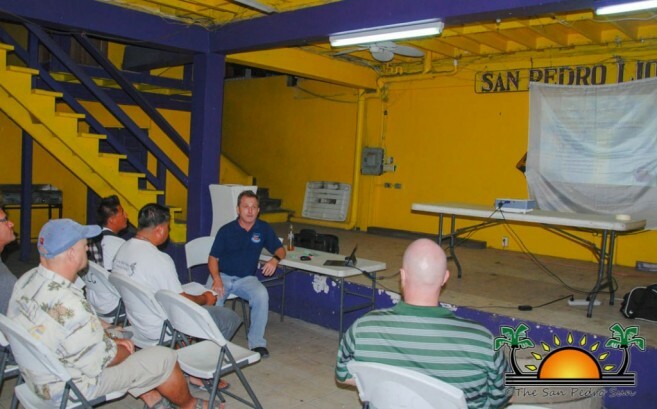 The informational session took place on Monday, April 11th, at the Lions Den shortly after 7PM, and was led by the Sub-aquatics of Belize Ltd. This entity is a member of the 12 Sub-Aquatic Safety Service (SSS) Network which has similar facilities in other parts of the world and has been providing the island with Hyperbaric services for over 25 years. Speaking to the attendees was Executive Assistant Paul Cunliffe who reiterated that SSS is in Belize to help support the community. In his presentation, he identified the different causes of dive-related illnesses, the most common one being ‘decompression’- and the procedures needed to assist anyone in such a situation. 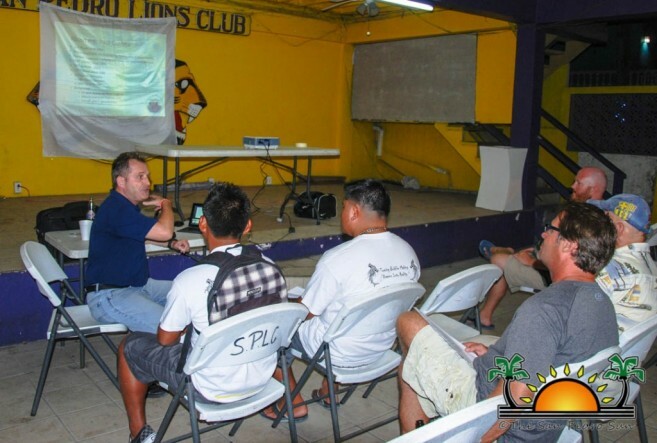 “For most of the attendees the lesson was a refresher, but with the turnover of staff, we believe that is good to refresh the different dive shops frequently,” said Cunliffe. He also indicated that plans have been put in place throughout the year to have regular ‘accident management courses’ twice a month. Additionally, the chamber will start offering free tender operating training starting May 15th, open to anyone interested in learning how to operate the hyperbaric chamber. “After speaking to dive shop owners in the region, we will start offering training to increase the amount of local people who could always be on call to assist the chamber,” said Cunliffe. “The course includes, five evenings of intensive training at the chamber here on the island.” Although the course is open to anyone, Cunliffe reiterated that it is recommended that the interested individuals at least have basic first aid training. At the end of the session, participants were treated with snacks and drinks and were once again reminded to sign up as soon as possible for the first tender operator training starting in May. Sub-aquatics of Belize Ltd, offers hyperbaric services, 24-hours a day, seven days a week, 365 days of the year.